In theory, this plot could have been a chance to deepen the show. Despite sharing a network with shows such as Breaking Bad and Mad Men, both celebrated for compelling characterizations (often of women), The Walking Dead has struggled to differentiate its characters. By season two, we find the characters camped out on a farm, temporarily protected from swarms of zombies and the daily pressure of simply surviving. Here was the show’s golden chance to make us care about the terrible things that will probably happen to these people by helping us to better understand them as individuals. This opportunity was largely squandered and served to show something alarming—The Walking Dead’s female characters consistently want nothing beyond what the plot needs, which often involves either supporting or thwarting (with disastrous results) the men in power. Lori’s entire character arc is built around her relationship to men or to her child. Although it’s understandable, at first, that Lori’s concern would be the safety of Rick and Carl, she’s not even consistent in this goal. 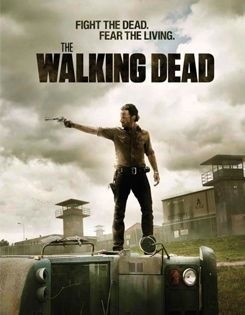 In season two, Lori warns Rick that Shane is a danger to them all (as evidenced by his increasingly erratic behavior) and suggests that Rick take care of the problem. Just a few episodes later, she is seemingly speechless with anger after Rick tells her that he has killed Shane. It is understandable that her reaction to this news would be complex, but the harshness of this scene is frankly unconvincing: the show seems to be asking us to hate her. Lori’s inconsistency extends toward other characters. In one scene, she chides the also inconsistent Andrea for learning to shoot instead of taking part in the “women’s work” of the farm, saying that the men should be in charge of protecting them. This scene not only makes Lori seem obnoxious and oblivious, but it also comes out of nowhere; we have been given no idea about Lori’s ideas regarding gender roles up until that point. In moments when Lori asserts something beyond platitudes, it becomes clear that we really know nothing about her, and neither do the writers. The problem here isn’t Sarah Wayne Callies’ performance, which is fine, considering how little she was given. The problem is that the writers never figured out how to subtly communicate anything about Lori beyond obvious statements concerning her love of her family or desire to survive. Like Lost or Breaking Bad, this show gives us characters almost constantly in extreme situations, but while those shows (in their best moments) use reactions in a crisis situation to show us something about the characters, The Walking Dead uses the crisis situation as an excuse to strip away characterization. Think about another female character in crisis, Skylar White, from Breaking Bad. As much as viewers sometimes dislike her, it would be hard to argue that we don’t know Skylar. While Walter is smart and sometimes painstaking, you get the sense that Skylar is the one who keeps the lights on. When she is angry, she withholds affection. She is also canny and understands how to get her way. These elements don’t always make her likable, but they do tell us something about why she reacts to the world the way she does and why she makes certain choices (also, why she’s with Walter). Lori could have been given some characteristics of her own, beyond providing a stumbling block for other characters. Supposedly, two men are fiercely in love with Lori, but the writers never give us an opportunity to believe it. In season three, the increasingly downcast Lori, rejected by her husband, is heavily pregnant. She spends most of her few episodes apologizing for the rift between Rick and Shane (the show seems to agree that she is somehow responsible). In her last moments, caught in a swarm of zombies and going into labor, we see Lori begging another character to cut her open and save her baby, knowing that she will certainly die from the operation. Lori’s character ends, much as she began, one-note — she wants the survival of her child. Again, this is noble and makes sense in the context of the situation — her complicated labor during a zombie swarm wasn’t going to end well anyway — but it reminds me of all of the other ways in which Lori as a character is there simply for plot expediency. The Walking Dead could have created a character whose death elicited more of a response than, “I wonder what Rick is going to do now!” Instead Lori’s character, even at her death, works simply as a way to motivate or torture male characters. Maybe someday, The Walking Dead will give us a complex female character (even better yet, a complicated mother), but that day, even in the much-improved third season, hasn’t come yet. it’s a zombie show. it’s a comic book. it’s a trifling entertainment on sunday evenings. and yet here we have another $#$%# feminist critique of the writers/producers’ intentions w/r/t gender politics. come on, man. can’t we just let it be a television show? does everything in our culture have to be viewed through this prism. i find it exhausting. does that make me a misogynist? I don’t know if you’ve seen the season three finale, so I’ll just put a big ol’ SPOILER ALERT in case. But Andrea’s death revealed another aspect of how problematic The Walking Dead’s representations of women and minorities can be. Andrea was arguably the only woman on the show who actively pursued a leadership role, and for that, the fanbase regularly denigrated her as “annoying” and “the worst.” Michonne is, yes, quite badass, and yet we don’t know anything about her. She fits the hyper-masculinized Man With No Name archetype. Maggie is a soldier, but only when she has to be; she’s still primarily defined through her relationship with Glenn. In fact, we view the effects of her sexual assault mostly through how it makes HIM feel. Andrea tried to have it all: to be a lover, friend, warrior and leader. So OF COURSE she has to die. And die horribly. Personally, I was hoping for a Kill Bill scenario between her and the Governor next year. Even in death Lori–in her ghostly appearances–continues to exist solely for plot expediency.